While a Banana Split Frappuccino only exists as a "secret" menu item here in the US, Starbucks launches an official version across the Pacific at participating stores in Asia. The new drink takes a Mocha Frappuccino and blends it with banana puree and layers it atop strawberry whipped cream and then tops it all off with vanilla whipped cream, a chocolate drizzle and waffle cone pieces. 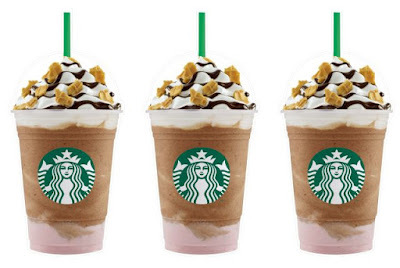 In comparison, the US secret menu version includes a Strawberry and Creme Frappuccino blended with vanilla bean powder, java chips, and a whole banana, topped with whipped cream and a mocha drizzle. The coffee chain is also offering the Irish Cream Coffee Pudding Frappuccino and Matcha Earl Grey Jelly Frappucino in select Asian countries this summer. The Irish Creme Coffee Pudding Frappuccino offers a Irish creme-flavored coffee pudding layered with a Coffee Frappuccino and topped with espresso whipped cream and espresso powder. The Match Earl Grey Jelly Frappuccino consists of Earl Grey jelly layered with whipped cream and then a Green Tea Frappuccino mixed with Early Grey syrup, topped with whipped cream and matcha green tea powder.